MIERCOLES, EL DOS DE JUNIO, VEINTE-DIEZ Now that we are unofficially in transit, questions keep coming into my head on what it is going to be like to make work in a new country. Given, I've made and painted a few artworks overseas (6 large canvases in Arbroath, Scotland in 2003 and several ex-votos and cruz de las animas works while in Las Vegas in 2008) but this time, I'll be needing to exhibit them and because I'm in a new context, things might alter my perceptions on my practice - or perhaps, that's what I'm hoping. One of the main reasons of being in the States, especially on the West Coast, is that I'll be around quality examples of Spanish Colonial Painting and Mexican Folk Art. When we arrive in The USA, we're flying straight up to San Francisco to housesit for some friends in Oakland. 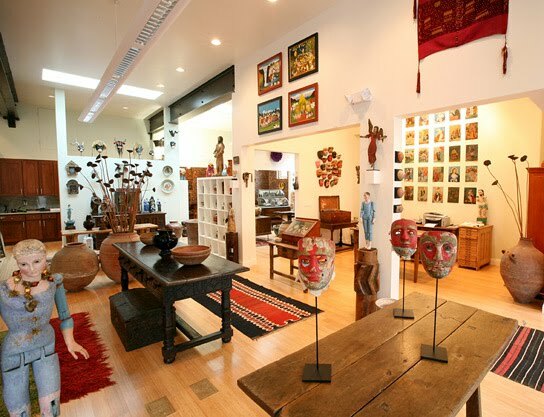 I'm really looking forward to being in San Fran as there's the Palace of Legion of Honor, the dealer gallery scene on Geary St, but most importantly Colonial Arts, a gallery in the middle of North Beach that specialises in Spanish Colonial Painting and Mexican Folk Art. The gallery is run by James Eddy, who I met in July 2008 when we took our second trip up the West Coast.